Dandruff can also occur if the scalp is frequently exposed to extreme temperatures. One common manifestation of seborrhea that affects the scalp is dandruff. Scalp seborrhea can also present as thick, flaky, localized patches of scale. On the face, seborrhea produces reddish-brown, dry-looking, or thick, greasy scales on the eyebrows, sides of the nose, and behind the ears. Reddish, scaly patches may also appear in the folds of skin mentioned above. Although skin affected by seborrhea may feel "dry," moisturizing only makes them redder. 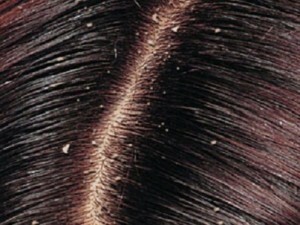 Individuals with dandruff of the scalp may have red, flaky, greasy patches of skin. Homeopathy treatment helps for Chronic and Acute Dandruff.